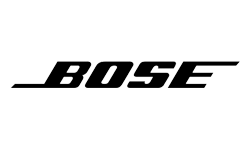 - Bose is famous for its commitment to innovation. Systems like the L1 portable line array have earned Bose a reputation as a premier maker of all things audio. Call our Gear Experts now for help with your purchase: 800-460-8089. In the 1950s, MIT grad student Dr. Amar G. Bose purchased a new home stereo system as a reward for his studies. A classical music enthusiast, he hoped the technically impressive stereo would recreate the realism of live music. Though left disappointed by the stereo's performance, Dr. Bose gained a clear new path: to create better, more lifelike sound. With new ideas constantly on the horizon, Bose® is committed to continue its founder's original mission. As a performer, you’re only as good as what your audience hears. Yet so many times, the venue you play in can dramatically affect the sound of your performance. For decades, tour-sound professionals have used line array systems to overcome coverage challenges found in stadiums, arenas and concert halls. However, for working musicians, DJs and other performers, there has never been a way to get consistent, even coverage and quality sound from a system you can easily take from gig to gig. Until now. Bose engineers looked at the challenge differently: From the stage. From the club floor. From the corner of the pub. From those perspectives, they could understand what could help working musicians and performers connect better with their audiences. The result is a family of portable PA systems for nearly any performer. From solo musicians to mobile DJs to full bands. With innovative design and unique technologies, Bose portable PA systems offer what many conventional PA systems can’t. Patented technology to help eliminate unwanted reflection, higher vocal projection and speech clarity, wider horizontal dispersion for consistent coverage over large areas, consistent tonal balance throughout the audience, stronger output levels over longer distances, reduced vulnerability to feedback, easy setup and high portability and rugged design for years of use. Artists across the country are discovering the portability, coverage, and tone of Bose L1 and F1 systems. As they discover it for themselves, they bond with other L1 and F1 systems users to learn all the amazing benefits they can take advantage of with their system. Once you become a user of L1 or F1 systems, it’s hard to stay quiet about it!